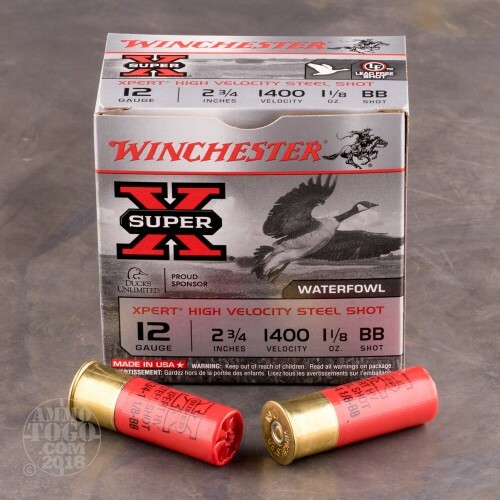 These heavy steel shot loads from Winchester are excellent choice for hunters looking to smack down geese with their favorite 12 gauge scatterguns! 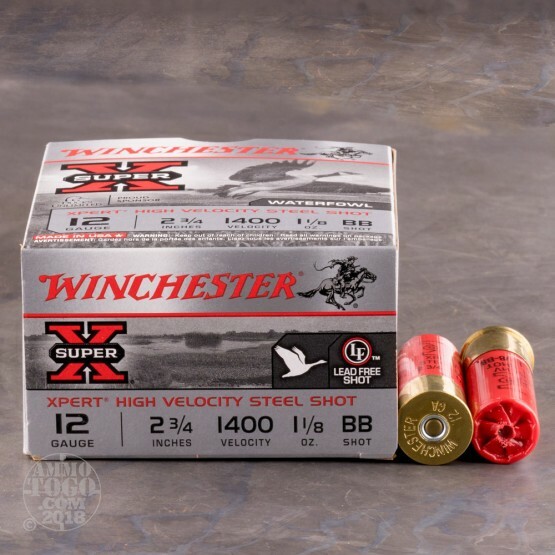 Steel shot is sometimes required for wing-shooting on wetlands with a lead-free policy in place to protect the environment. For the most active sportsmen and sportswomen, using steel shot also reduces lead build-up in guns and reduces personal health risk. 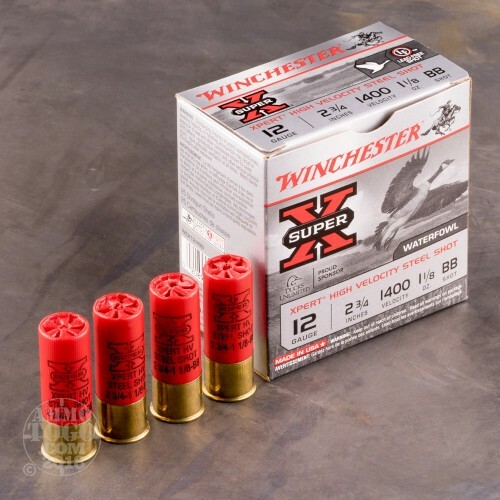 Winchester's century and a half of experience in ammunition and firearms allows them to build loads of nearly any type without compromising performance. 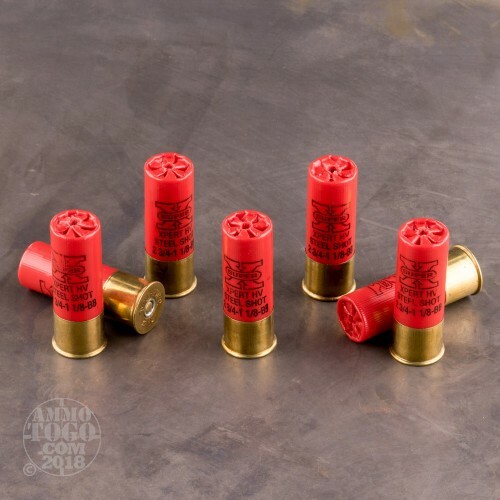 Each of these 2-3/4 inch length shells contain a whopping 1-1/8 ounce of steel BBs which each measure .180 inches (or 4.57mm) in diameter. The BBs sit atop a one-piece hinged wad which is designed to reduce felt recoil while tightening shot patterns. Since this effect is coupled with a strong charge of Winchester's own high energy propellant, shotgun hunters can expect dense shot clouds and excellent long range capability from these rounds.